Why Are We All So Obsessed with Ice Cream? My relationship with ice cream began in the womb. In the two weeks before I was due, my mother drank a coffee milkshake every day. Whether or not those milkshakes reached me through the umbilical cord, I inherited my mom’s attachment to ice cream. A month ago, I had a dream in which I’d been assigned a story on ice cream and dove headfirst into researching and outlining it. You have to be pretty fixated on ice cream to have a dream like that. When I awoke, I mulled over why I was so obsessed, and started investigating whether America's most popular dessert has this effect on everyone. Lainie Fefferman grew up eating at least one big bowl of ice cream per day, though she’d easily eat two or three bowls if she was sick or in a bad mood. “From the time I could talk, I just wanted to eat ice cream all the time,” she said. Everyone I talked to reached back to childhood memories to explain the roots of their ice cream obsessions. “This is so Freudian, but the truth is, it all began with my mother,” my friend’s pint-a-day sister told me, laughing. Her parents worked a lot, but after dinner, her mother would take the three girls to the bookstore and, on the way back, to Baskin-Robbins. Daniel Mendel worked at his Florida hometown’s beloved ice cream store throughout high school, but said he became enthralled with the stuff years before that, “because of how I felt when I was in the company of my parents when I was in that store with them.” Another friend, Laura Newmark, said, “I really think that there’s something about childhood that is intrinsically linked to the ice cream truck.” Ice cream often conjures memories of family, of safety, of carefree summer afternoons. But I believe it goes back even further than that: all the way to infancy. I think ice cream is the grown-up version of breast milk, what many of us turn to for the ultimate solace in moments we feel lost or overwhelmed or afraid. It’s milky and fatty and sweet. You lick it and sometimes you bite it. In 2011, a man named Matt O’Connor started making novelty “Baby Gaga” ice cream out of donated (and screened) breast milk at his pop-up shop Icecreamists, which continually sold out over around eight months. My own therapist told me that, when she’s talking to new mothers about breastfeeding, she offers up melted vanilla Haagen Dazs as an analogy for what breast milk tastes like. 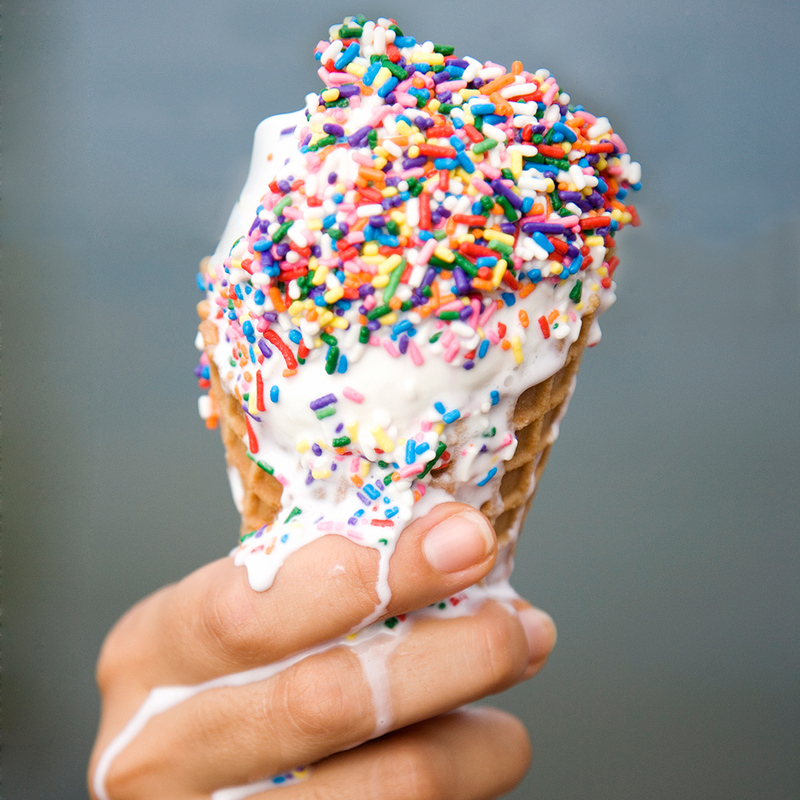 Ice cream isn’t just childhood—it’s mommy, disguised enough that we don’t consciously realize what we’re reaching for. Then, though, she said: “Okay. I do have something to add that will very much support your theory.” She told me that when she would drive me back to college after a break, she would get a coffee milkshake to drink on the way home. “It was a little sad to say goodbye, and it was something a little sweet that had sweet associations that would help the transition,” she said. Ice cream has, for her, always been a transitional food, starting back when it helped her move from a day at high school to an evening back at home. And, of course, from being pregnant to being a mom. Her own words notwithstanding, I can’t imagine the feelings around giving birth—from complete merger to separation—aren’t bittersweet at best. I haven’t yet been pregnant myself, but I can imagine the craving for infantile comforts on the precipice of such an enormous change. And there for my mom, helping to ease the way, was ice cream. 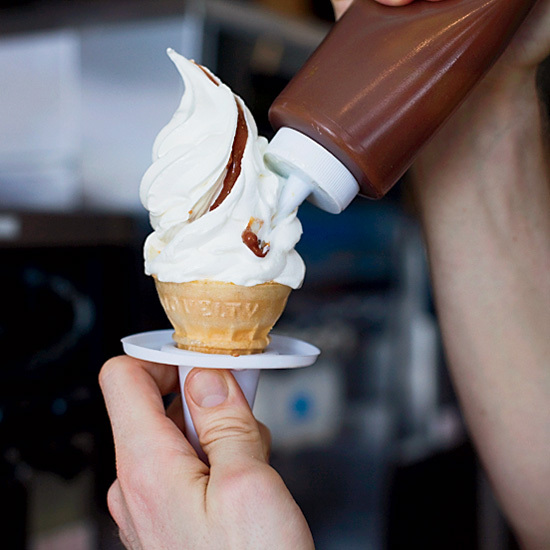 Which State Loves Ice Cream the Most?